If you have the mental capacity to not consume the entire bag in one sitting, the bag itself can actually be re-sealed (though few people need this additional feature). Every Cadburys Giant Button contains that great, milky Cadbury’s chocolate taste. 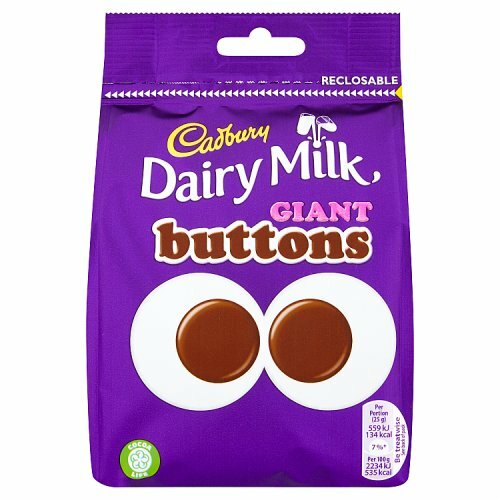 Most popular with customers in United States of America (USA), France, Italy, Germany, Spain, Canada, Netherlands, Denmark and Australia, but you can buy Cadburys Giant Buttons for delivery worldwide. 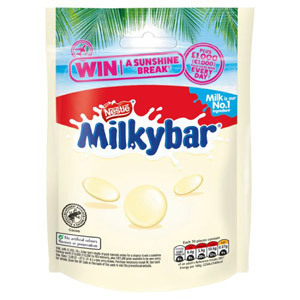 Milk**, Sugar, Cocoa Butter, Cocoa Mass, Vegetable Fats (Palm, Shea), Emulsifier (E442), Flavourings, **The equivalent of 426 ml of Fresh Liquid Milk in every 227 g of Milk Chocolate , Milk Solids 20 % minimum, actual 23 %, Cocoa Solids 20 % minimum, Contains Vegetable Fats in addition to Cocoa Butter. My son has allergies to almost everything that goes into sweets and candy. 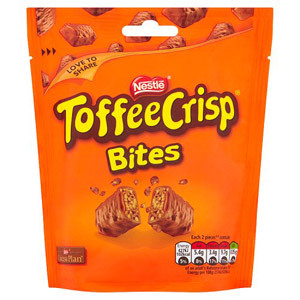 This is one of the few chocolate items we call 'Denver friendly' on a recent visit to England we stocked up and being able to buy them from British Corner Shop and have them shipped to the States is fantastic and much cheaper than a plane ticket. Cadbury Chocolate Buttons are great but Cadbury Giant Chocolate Buttons are amazing. These coin size melt in your mouth bites of heaven are the perfect size. 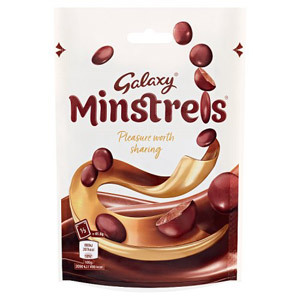 The handy reseable bags means if you have great will power and wish to save them for another day then this is possible, keeping them fresh and tasty. Being a big chocolate fan I think it only right that I comment on these Cadburys Giant Buttons. The normal sized buttons are good but having them in Giant size is mind blowing. There are enough to share, should you wish and the bag is resealable in case you have an emergency and need to be separated from your beloved Giant Buttons. I'm not a chocoholic but I occasionally go through chocolate phases. 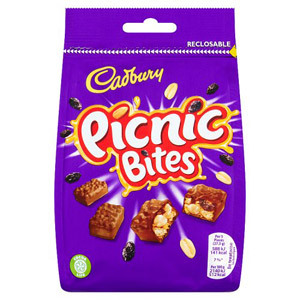 There is something about Cadburys chocolate that makes it more enjoyable than other brands of chocolate I've tried. Maybe it's because it's creamier with a typical velvety chocolate flavour than only Cadburys can give you. In my opinion Giant Buttons are a work of art, They are just the right size and shape to appreciate the distinctive Cadburys taste. I admit that I am a chocoholic and am a firm believer that nothing beats Cadbury (I've spent the last 50 years in countries all over the world and nothing compares!). Chocolate buttons have always been one of my favourites, and the giant size are even better than the regular - the only problem is that one leads to another and to another and to another until the packet is finished! My half-Italian son and 3/4 Italian grandson have inherited my love of chocolate and visit me every month for their 'ration' of Cadbury. 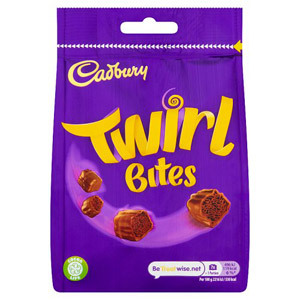 Cadbury make my favourite chocolate, and now I've discovered the Cadburys buttons which is really what I was looking for. I'm a pastry cook and I can say Cadburys buttons have really helped me with my cake decoration. Here it's not easy to find decorations that's why I surfed on internet to look for new products, and when I found cadburys buttons and tried them I was very pleased! Would you like to write a review for Cadburys Giant Buttons?